Action comedy with a slight social conscience, highlighting disenfranchised Hong Kong youth at a juvenile detention centre and adding a Blackboard Jungle-esque morality boost to the fragmented story. 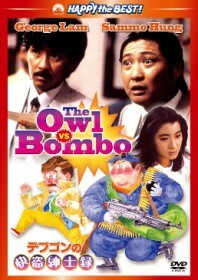 Crooks Bombo (Sammo) and Owl (George Lam) volunteer at the centre as recompense for past crimes. They are being blackmailed by the same retired cop (Stanley Fung) as a ploy to get at James Tien’s crew of nasty real estate developers. Sammo shows his tender side for the film’s romantic elements: Lam’s support for Michelle Yeoh‘s harassed teacher, and Sammo’s wooing of head mistress Deannie Yip. He spontaneously dons tap shoes and recreates a dance sequence from Singin’ in the Rain – a truly random and special moment – before the film culminates in a kung fu frenzy.